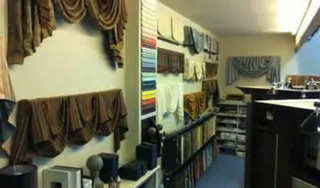 Quality and experience in Window Treatments since 1983. KNS Window Fashions opened in 1983; since then we have been innovators in the industry and have earned a solid reputation of providing local customers professional workmanship, quality Window Treatment Products and prices to suit every budget. At KNS Window Fashions we help you choose window blinds, shades, shutters and other custom window coverings that reflect your personal style and enhance the beauty of your home or office across Leduc, Edmonton, Spruce Grove, Calmar, Millet and the surrounding areas. 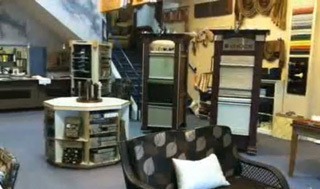 Our 3600 sq ft Showroom right here in Leduc is a true "one stop" shopping experience! Our Showroom is chalk full of the latest and greatest in all styles of Window Blinds and Shades, Drapery Fabrics and colors and Decorator Hardware. If you are looking for window covering ideas, custom draperies, bedspreads, valences and beautiful hardware to complete your room’s décor and ambience, make sure you stop by our showroom to view, touch and compare many fine products – all in one convenient location. We are proud suppliers of Hunter Douglas, Graber, Elite, Maxmaar and other quality name brand blinds and shades as well as suppliers of fine fabrics from distributors such as Kravet, Robert Allen, Maxwell, Joanne Fabrics and many more. We offer one of the largest selections of decorative drapery hardware in Northern Alberta. And, to ensure quality and quick delivery,we make all our Custom Window Draperies, Valances and Window Treatments on site in our own workroom. Your satisfaction is guaranteed. If making window covering choices feels overwhelming or confusing, our experienced design team lead by Edythe and Randall Brown will work with you to find the right solutions for your space and budget. Whether you need window blinds, shades or custom coverings for an entire new home, or want to breathe new life into outdated looking décor, our team at KNS Window Fashions offers extraordinary product knowledge to help you make an informed decision. From motorized and cordless controls available on most product lines to energy efficient, black out and privacy features, we offer a style, color and design to fit your requirements perfectly. Take advantage of our “Free Shop at Home Service” where owners Edythe and Randall Brown will come to your home or office with samples and ideas and work with you to develop the perfect window covering solution to match your decor and budget. We know from experience that sometimes the only way to decide is to see the samples in your own space in your unique lighting and color coordination. Contact KNS Window Fashions for custom window treatment services in Leduc, Edmonton and surrounding area, and central Alberta.